Google’s pivot toward gesture-based navigation has been much discussed ahead of the release of Android 9 Pie. But Android Pie gesture navigation isn’t as big a change as it may seem, especially compared to how Android Pie behaves with the feature turned off. Android Pie gesture navigation: on or off? For all the talk about Android Pie’s new gesture-based navigation feature, you might be surprised to learn that, if and when you upgrade your device to Pie, the feature is not turned on by default. In the near future, phones that ship with Android Pie preinstalled—the Pixel 3 line of phones, for example—will use gesture navigation out of the box. In fact, users might(?) not be able to turn it off. The core of the new navigation system, however, is a blending of existing Android navigation functionality into a single more consistent feature. The application of the swipe gesture just takes the core idea further. Note: Google now calls this button Overview, but it they previously called it Recents. Since this button’s days are numbered, and more people seem to call it Recents anyway, let’s continue to refer to it at Recents in this article, out of respect or whatever. In previous versions of Android, the Recents button simply brings up a list of your “open” apps. In stock Android Oreo, for example, tapping the Recents button displays an overlapping vertical stack of large screen thumbnails. One can scroll through the list of open/recent apps, and then tap on one to open that app. Note that this is different from browsing all your apps via the App Drawer, which is accessible by swiping up from the bottom of the Home screen. Android Pie changes the behavior of the Recents button by combining it with the App Drawer. So the new blended view combines browsing recent apps with browsing all apps, though doing the latter requires an additional action. The upshot is this: now one button combines two versions of the goal “go to another app”: 1) Go to an app that is on the open/recents view, or 2) Go to any arbitrary app from my full list. Note that this does not comprise all versions of this user goal. For example, returning to your home screens to access your personally curated app shortcuts. Android Pie gesture navigation stands on the change to the Recents button and takes it further, by providing a semi-consistent interface for accessing open and closed apps, activated in a consistent way. The Android Pie gesture navigation system combines these two different actions into one, activated by a consistent gesture. As a result, the Recents button is eliminated. Instead, you swipe up from the bottom of the screen. Note: The Android Pie gesture settings screen says “swipe up from the Home button”, but actually you can swipe up from anywhere at the bottom of the screen. The combined behavior is applied consistently to all contexts. For example, swiping up from the bottom on a Home screen now brings up the blended Recents/App Drawer interface. Aside from being a consistent action, using the swipe-up gesture affords Google an attempt to make accessing the App Drawer single-step process. With Android’s 3-button navigation—whether in Pie or in previous versions—accessing the App Drawer from inside an app is always two steps: Either tap Home and then swipe up; or (in Pie only) tap Recents and then swipe up. A tap and swipe, either way. With Android Pie gesture navigation, accessing the App Drawer can be done in a single step. Of course, you can still make this a two-step process. For example, one might do a short swipe up to view recents, fail to find the desired app, then swipe up again to access the App Drawer. Android pie gesture navigation combines similar functionality and user goals into one feature, and wraps it in a consistent activation mechanism. However, that doesn’t mean the feature is automatically better for all users. For certain, there are advantages and disadvantages to the feature, as well as ways it falls short of its own goals. One example: existing Android users will be expected to develop new muscle memory for navigation actions, and unlearn some of the old. This is not fun. And it’s further complicated by the fact that users will still want to return to their home screens to access apps, too, and that is a separate interaction. This is one of the reasons that the Android Pie gesture navigation system, though seemingly a big departure, winds up feeling more like an intermediate step in the direction of further planned redesign (and experimentation). 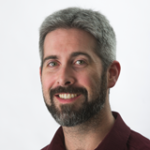 Scott is a contributing writer for BetaTesting. As a professional UI/UX Designer, Scott has designed successful solutions for desktop, web, and mobile applications for over 15 years. PreviousPrevious post:Getting Started with Flutter SDK to Build Native Android and iOS AppsNextNext post:Does Color Affect Mood in User Interfaces?